8K Island Run in aid of the RNLI Achill, Ballyglass, Lifeboats involved in rescue 116 and the Clifden Lifeboat. 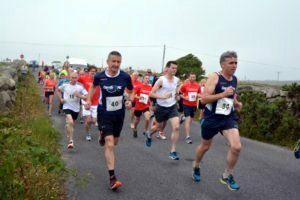 The 8k Island Run and the 10K Inishnee Loop walk take place on Sunday 28th of July 2019 at 2.00 pm, Inishnee Roundstone Connemara. It’s a family friendly event. We offer a family rate, two adults and children under 12’s €50 and tee shirts for all family with over 12’s €50 and will include t-shirts adults €20 and tee shirts. Registration is on site at the Inishnee Crossroads. We welcome all our friends and look forward to meeting many new friends. We will have Face painting for the kid’s.